A Defence and industry initiative has been put forward as a model for government to use to improve and integrate procurement and project planning, according to the findings of a joint select committee on government procurement. The inquiry, chaired by South Australian Senator Nick Xenophon, discussed the new Commonwealth Procurement Rules, which came into effect 1 March this year, with a range of stakeholders. The revised rules require that goods and services comply with Australian standards, adhere to labour regulations, OH&S laws and environmental standards, meet Australia's international trade obligations and consider the economic benefit of the procurement to the Australian economy. During the inquiry, the Defence Rapid Prototyping, Development and Evaluation Program (RPDE) was brought to the committee’s attention as a model that could be used to integrate procurement and project planning. "RPDE is a joint Defence-industry initiative which brings together Defence, industry and academia to ‘address complex Defence capability development and modernisation issues’ before a project goes to tender," the report reads. During the inquiry, First Assistant Secretary, Defence Industry Policy, Department of Defence Kate Louis stressed the collaborative nature of the program and maintained that it fosters innovation. "It works by responding to requests from Defence capability managers to help them solve complex problems, which might be a technology challenge, a need and a requirement definition or industry capability questions," Louis said. "It really provides an opportunity to share information about Defence needs and receive feedback from members. It is an important program. It is really part of that whole new innovation strategy." RPDE projects are funded by Defence and staffed by personnel from industry and academia who are paid from the project budget. RPDE conducts two main types of activities: Quicklooks and Tasks. A Quicklook delivers guidance, advice and input on a Defence issue by rapidly bringing together experts from industry and academia. A Quicklook also delivers a report in an agreed timeframe, usually less than three months. A Task delivers a prototyped solution, which may be a report, a proof of concept or a physical prototype (limited to Technical Readiness Level 6). Tasks focus on identifying, understanding and facilitating change and may involve the introduction of a new organisations, concepts and/or technologies. 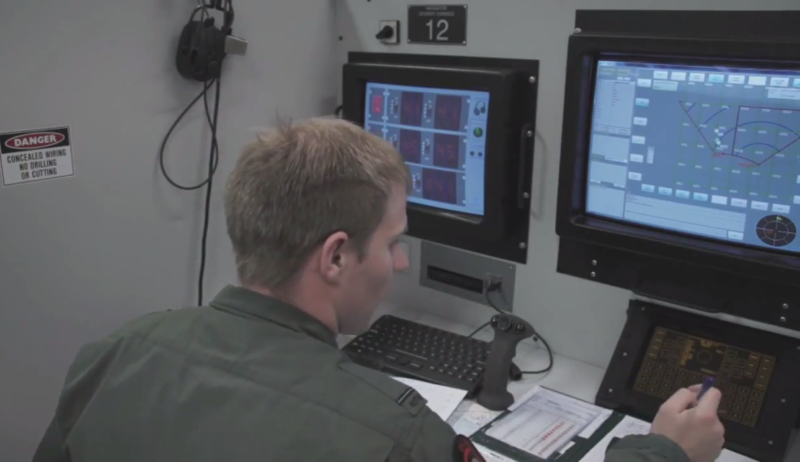 The Task report considers all fundamental inputs to capability elements, and may be focused beyond technology or equipment. Tasks normally take 12-18 months to complete. Former Commander of the Counter Improvised Explosive Devices (IED) Task Force Brigadier Wayne Budd has praised the RPDE and its model for the important role its played in the IED Task Force in Afghanistan. "One of the reasons for using in RPDE, and the counter IED Task Force does use RPDE quite regularly to solve some of our problems, [are] our insurgent adversaries are very innovative and their development cycles are very fast," said BRIG Budd. "A conventional defence co-operation planned project is quite lockstep in its development processes, its documentation requirements and its project development. And industry when they’re building large-scale military capabilities spend a lot of time in their development processes. "The way that the adversary and his cycle of his technological advancement in quite fast. What we need is the ability to be very agile and very responsive in our scientific responses to the IED development and RPDE in terms of capability available to defence is an organisation that’s able to rapidly work through a problem, come up with a solution and allow us to analysis whether that solution is going to work in the battlefield for us." RPDE is governed by a board of participant representatives chaired by Louis. Project activities are overseen by a One Star Steering Group chaired by the Assistant Secretary Defence Innovation & Capability. As of December 2016, the functions and funding of the RPDE and its future models will come under the strategic guidance of the Defence Innovation Hub.